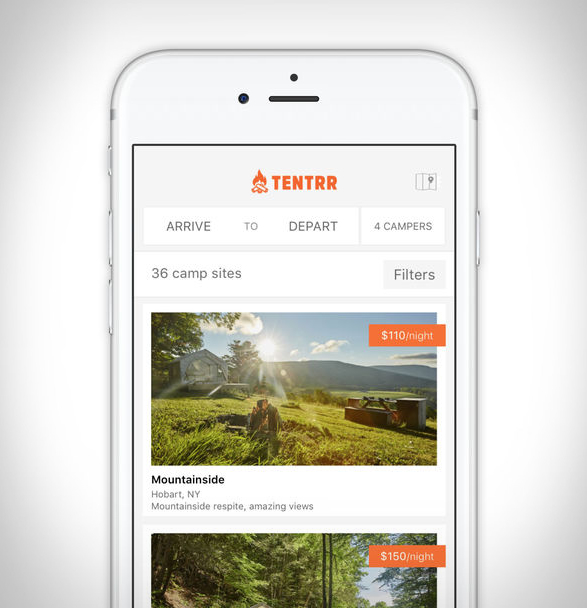 Tentrr is the "Airbnb of camping”. 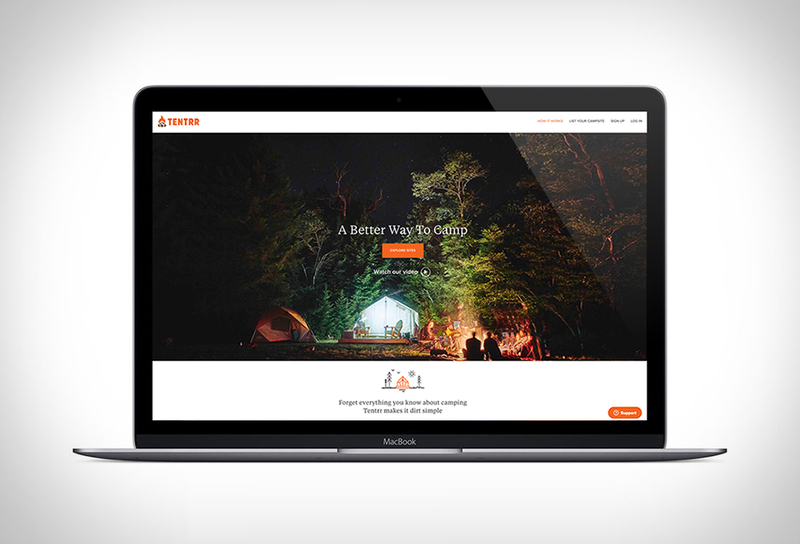 This app/service aims to take all the hassle out of camping, it connects landowners with campers looking to enjoy the outdoors, and lets users find and book private campsites close to major cities. 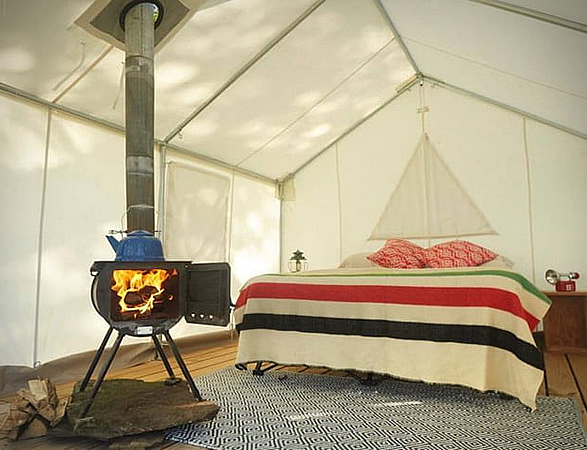 Camping becomes as easy as getting to a destination, and staying at an already set up tent that is fully equipped. 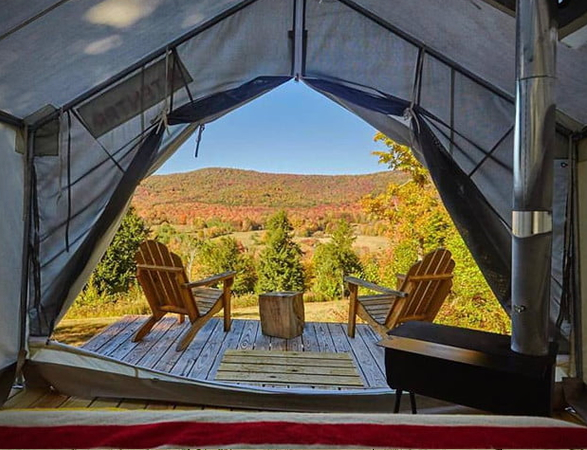 All campers have to do is arrive and set down their bags. 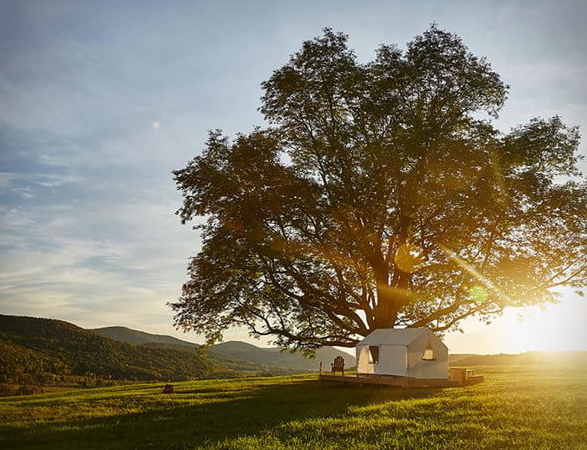 All campsites are located on picturesque private lands, so unlike public campsites, campers can enjoy a beautiful landscape without any worry of running into other groups. 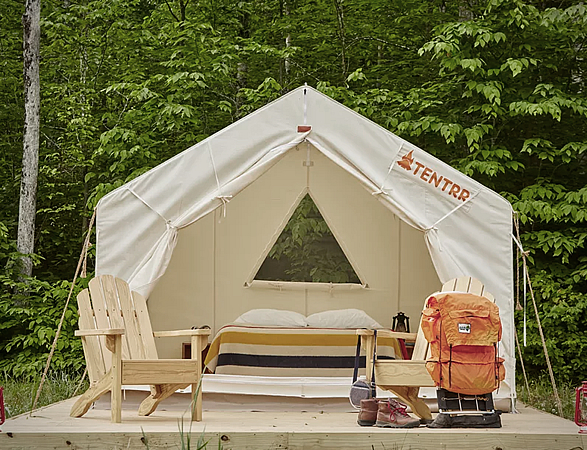 The tents have a standard format (expedition tents) set on wooden decks, and are all equipped with wood picnic , adirondack chairs, sun showers, air mattresses and featherbed toppers. 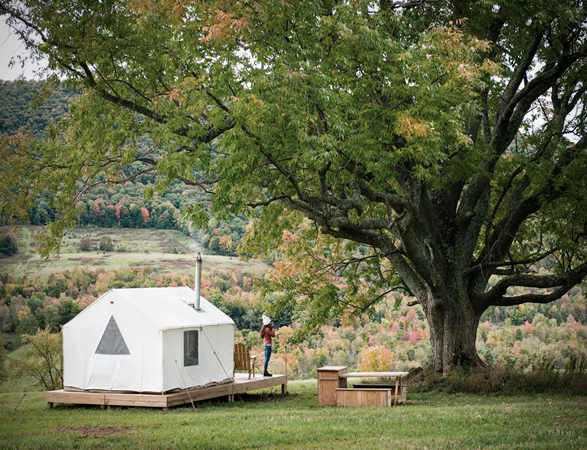 You can also order portable camping toilets, fire pits, cookware, and grills.